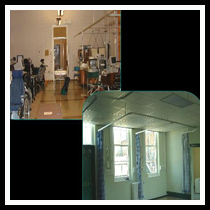 UKBS have a wealth of experience in the healthcare sector and have for many years have provided strategic planning advice to a number of NHS Trusts together with full design and contract administration services for refurbishment projects, conversions and extensions to the healthcare estate. This covers projects valued between £50k to £5m at District General Hospitals and similar projects in the community for Primary Care Trusts. UKBS have also acted for Medical Practices to construct new facilities on brown/green field sites and to refurbish or extend medical practices and health centres to cope with modern demands. Recent examples include a £2.5m relocation of Physiotherapy and Gynaecological services at an acute DGH, a £750k conversion of shops and offices to provide new Walk In Medical Practices, a £1.85m rolling programme to upgrade Pathology Services at another DGH and the provision of a £3.5m new build Data Centre to accommodate state of the art data and in-row cooling installations and complimentary administration facilities. 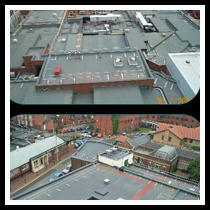 We were initially approached by our Client to replace the roof coverings on 2 of their most sensitive buildings, the National Centre for Cancer Treatment (NCCT) and Neurosciences Buildings. Following the success of these two buildings, a further three were added. The brief was to ensure that the buildings operations were unaffected by the works and to obtain value for money. Access to the roof of the NCCT was restricted as such the works were undertaken throughout the night when the internal equipment was not in use. We were initially approached by our Client to review a scheme prepared by another consultant. The original scheme exceeded their budget and an alternative approach was requested. We were asked to provide the same end result in converting 4 No partially used wards to fully assessable wards at a fraction of the cost. As well as providing much needed office accommodation. 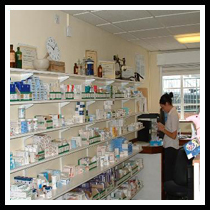 Surveying services and contract administration for Pharmacy Upgrade including DDA access.